Most wish list apps make it easy to enter wishes and share them. The real issue, however, is not sharing your wish list. You could do that using pen and paper just as well. 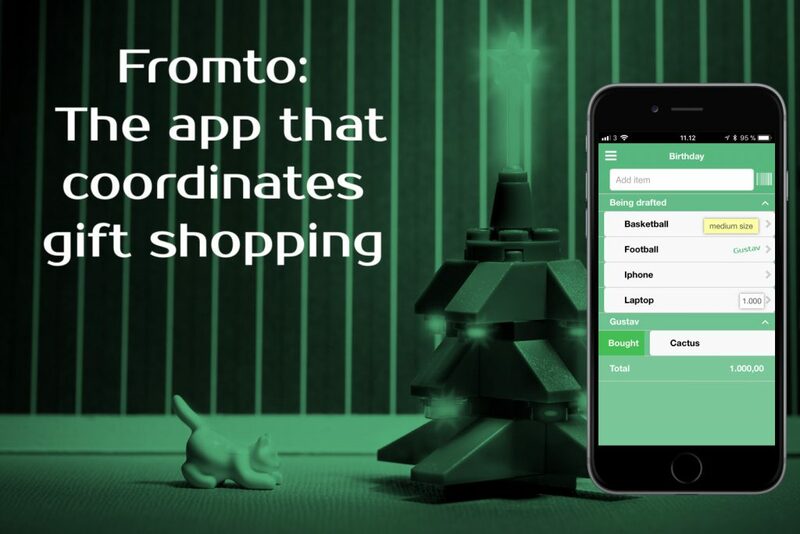 Where Fromto wants to make a difference is in helping friends and family to coordinate gift shopping. Only one list per user – and that’s created upon signup – or when starting to use the app as a Grosh user – that list is of course of type wish list. There are no categories in the app, instead the items are grouped in a “being drafted” group and then by recipient name after that has been assigned. There are no store tags shown in the list, instead you’ll see the responsible person to the right of an item. Just as you can tap a store to filter the list, you can do the same by tapping the persons name. You can edit a wish as much as you want, but when assigning the To field, you’re indicating it’s ready to be fulfilled by someone you shared the list with. You can actually continue editing, but once someone has “taken” the wish and set From, the wish is locked for further editing. Fromto is very much integrated with Grosh – you can reuse your account credentials – and you can see your wish lists from Grosh in Fromto and vice versa. Send us a message from this page that you’d like to try Fromto. We will then provide you with info on how to install and how to report back to us. If you know of any early adopters who might find it interesting to try out our clever gift shopping app, please share this post!